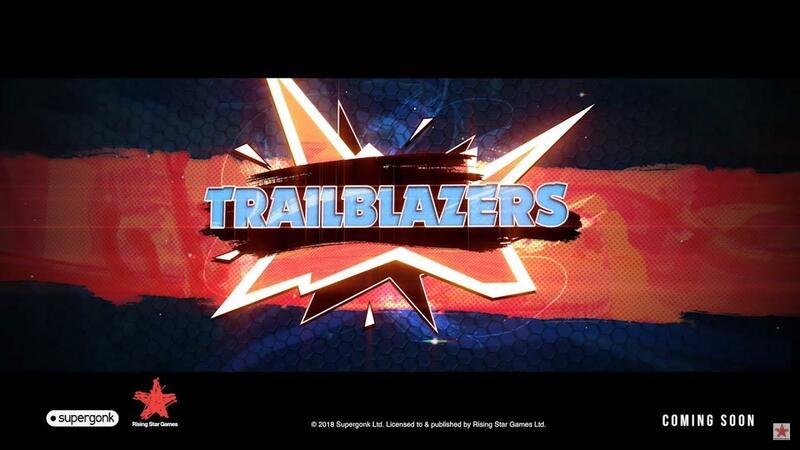 I do love racing games, especially when they look as unique as Trailblazers [Official Site]. A co-operative racing game where you paint the track. Not only does it look quite good graphically, but it's not just yet another racer. The paint mechanic sounds quite interesting, as you make the racing line for your team as you go. As you continue around the track, driving on your colour will boost you enabling you to unlock higher top speeds. So one team member can focus on covering the track in your colour, while the other can focus on boosting around it. Take control of high-speed racers in unique 3v3 team races across a series of colourful circuits. Paint the track as you race, capturing key areas to dynamically change the racing line, then boost on your team's colour to dominate the race! Join up with your friends in local multiplayer, or take it to online matchmaking with full split-screen support! I have to admit, I'm really excited about this one! They very clear state Linux support on their official website with a "tux" icon too. As it has only just been announced, there's no release date being given other than "Coming Soon". I will keep a close eye on this one and update you when I have more information! Thanks for the tip, NuSuey. This looks awesome!! I'll get it as soons as possible! "split-screen online" is something we need to see more often. Those features make this look like it might take first place in it's category. 4 Player Local and Online Play you don't see too often -- the graphics look perfectly executed too. It looks like they don't take themselves too seriously which is a good sign. Omg, that's game is what I was looking for since Sonic all star racing transformer doesn't have a Linus version. Yeaaaaaaaasssss, shut up and take my money! ismaelbonato@gmail.com Omg, that's game is what I was looking for since Sonic all star racing transformer doesn't have a Linus version. For some reason I often (falsely) remember Sonic and sega all stars Racing Tranformed as being available on Linux but that is probably only because it was one of the last games I played before liberating all of my main systems. It is of course a miracle at all that Sega are releasing games to the PC platform in any capacity. Baby steps I guess. Huh, a very interesting concept for a racing game. devland "split-screen online" is something we need to see more often. Yeah, that's a really cool feature!